Looking out across the back-country zone from Huckleberry Peak toward the summit of the ski area. It was a cool, crisp January morning as we pulled into the Sierra-at-Tahoe parking lot on Echo Pass. After 7 feet of snow in seven days, the ski patrol finally opened Huckleberry Gates back-country zone. The extra hour and a half of sweep time makes sense when you consider the scale of the 320-acre zone, which covers several distinct drainage systems and subpeaks. It’s definitely not somewhere you would ever want to ski alone. 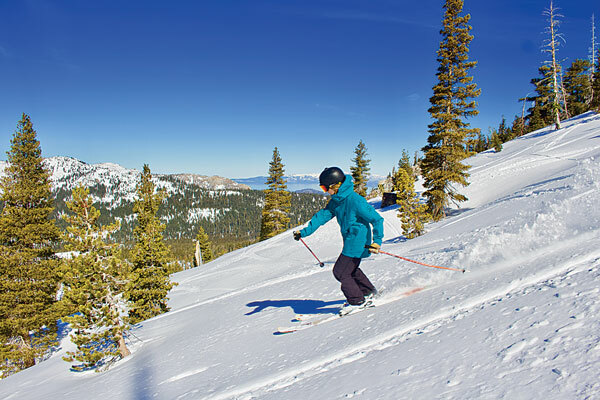 We board Grandview Express and a short ride later we stand atop panoramic views spanning Lake Tahoe, the Crystal Range, Carson Pass and the Mokelumne Wilderness. A jaunt down Wagon Trail leads to Gate 5 and access to the outer reaches of 8,852-foot Huckleberry Mountain. We alternately boot pack and skate ski for about 20 minutes until we reach the east end of the ridge. Looking back down the half-mile-long continuous cliff band, it’s easy to see why extreme big-mountain, freeskiing competitions are sometimes held here. Sarah Sherman sends it into the valley on untouched snow. We wrap around the far end of the precipice through evenly spaced glades until arriving at the base of the north-facing crags. It’s still morning so the snow in the shade is crusty and variable, but on emerging from shadows into sunshine, Sierra cement softens into a perfectly carveable, 6-inch layer of midwinter corn. Below us extends vast wide-open meadows of snow dotted with Charlie Brown Christmas trees set on gentle rollers. We spray snow and catch air as we descend the valley into the dark forests below. The lower sections of Gate 5 consist of steep, dense, old-growth interspersed with polished granite boulders and sudden pillow drops. I pop some rocks and make hot turns through the trees and onto the groomed cat track below with snow steaming from my free heels. From here, it’s a solid 30-minute hike along the snowmobile path to the gratifying moment when you can reliably keep your boards on for the rest of the ride down the fast, curvy trail through the woods along the northern ski-area boundary and back home. For back-country skiers heading deep into Gate 5, a light pair of skins is probably worth the effort; but for splitboarders, the transition time between hiking and riding probably outweighs any time or effort you might save. Although beacons, shovels and probes are not required in Huckleberry Gates, they are highly recommended as is skiing with a reliable partner or two. For round two, we enter at Gate 3, just off the summit of the resort. Some tricky navigation through heavy crud underneath wind-sculpted trees soon opens onto a steep, untouched powder face followed by a flawless field of snow pillows fit for a giant. We sculpt the supple slope without regard to gravity, slashing at faces and bounding over colossal snow-covered boulders. 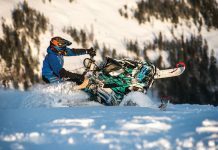 A swift, meandering trail at the bottom takes us around the northwest-facing cliffs through a frozen arena of obstacles and options. 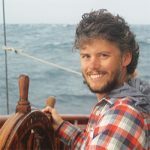 Michael Maher is all smiles after a dream ride through Neverland. After dropping a few more steep faces laden with virgin snow, we end up back on the cat track most of the way up from Gate 5’s faraway finish. 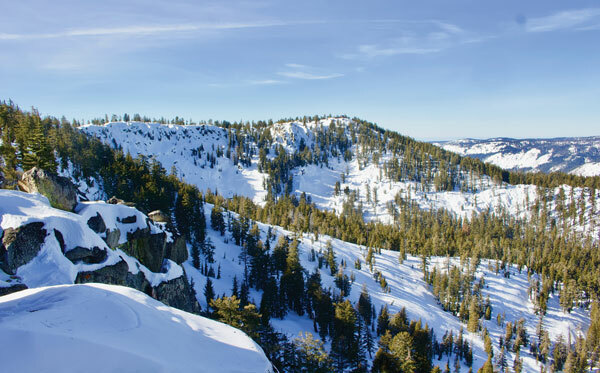 This calls for lunch at 360 Smokehouse BBQ with its sweeping views and Doc Watson bluegrass radio before we set out to explore the rest of an oft-forgotten Sierra Nevada gem. 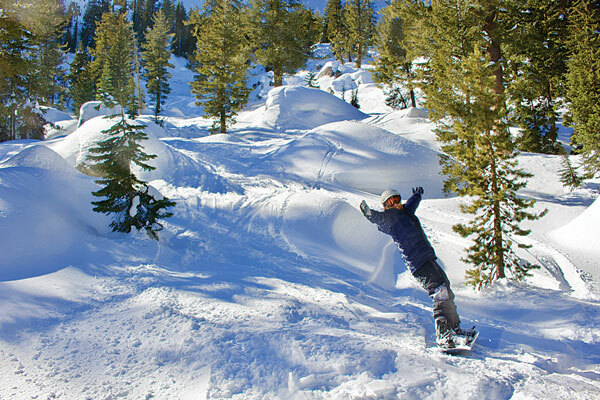 In addition to Huckleberry Gates back country, Sierra-at-Tahoe is known for its steep, old-growth, glade skiing, its silky smooth groomers and its varied freestyle terrain parks. We cruise down Sweet ‘n’ Spicy, a 2.5-mile trail for all levels, before cutting onto the swerving backside boardercross course of blue square Smokey. A quick ride up Short Stuff leads us to the top of The Alley freestyle terrain park where we take a couple laps on the mammoth kickers that fortunately tolerate forgiving side-hip jumps as you build progression toward clearing the 30-foot tabletops. Beneath us, a crew of locals rages down together, launching slow-motion helicopters and iron-cross backflips in synchronization as if they do it every day. A super-fast, tear-jerking ripper down Beaver leads us to the bottom of West Bowl from where we make our way back to base camp. By the time we reach the top of our third and final run beyond Huckleberry, the steep upper bowls of Gate 4 have been closed, so we explore the lower Gates 1 and 2, succeeding somehow in coming out just about where we don’t have to do any hiking at all.